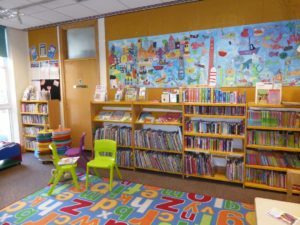 Welcome to another edition of our regular newsletter from The Friends of Brixham Library. This is an opportunity to remind you that annual subscriptions are now due. If you haven’t made use of our standing order facility, it is available for you to use and helps to overcome the annual worry of whether you have paid or not for the coming year. For £5.00 we hope that you will agree it is tremendous value for money and this is soon redeemed through our loyalty card scheme with a variety of local retailers as well as library offers in the form of free reservations or loan of DVD’s. New data protection laws mean we need your permission to stay in touch, even if you’ve given us permission before. Thus, at the end of this newsletter you’ll find there’s a form to complete. This is also an opportunity to ask you all to help spread the word about The Friends of Brixham Library in the hope that you can persuade friends, family and neighbours to join us. With our on-going events programme and the many events now being organised and planned by Brixham Library staff as well, we hope that there is something of interest for everyone. If anyone has any doubts about joining, why not get them to come along to our regular first Friday of the month coffee morning, the next being on Friday 5 April between 10.00 – 12.00 noon where you will be sure of a warm welcome. We will be holding a plant sale and what better place to enjoy a cup of tea/coffee and a piece of cake too, all for only £1.50. Easter Trail – 9th& 16th April 3.00pm – 4.00pm – Come along and make an Easter basket and then find the eggs to put in your basket. Stories & craft included. BOOKING is essential for this event. Children’s Easter Holiday Craft Activity – Wednesday 10 April & Thursday 17 April between 10.30am – 11.30am. This is a FREE fun-filled activity with stories and crafts and an opportunity to have fun in their library. Mad Hatter’s Tea Party – Thursday 11th & 18th April 11.00am – 12.00 noon – Come and enjoy Easter Bonnet making and decorating cupcakes, followed by stories and refreshments. BOOKING is essential for this event. World Book Night Poetry Workshop – Thursday 25 April 10.30am – 12.30pm Join award winning poet Suzy Miles for a poetry workshop to celebrate World Book Night. Suzy has run workshops as part of the FoBL programme for the last few years. Be inspired to write poetry, whether it’s your first time or not, or just come along and enjoy poetry at its best. There will be free Books and refreshments. FREE for FoBL members & £3.00 for non-FoBL members. Bingo – Brixham Library is hosting a fund-raising Library Prize Bingo Night on Friday 26th April. Doors open at 6.45pm- eyes down at 7.15pm. A bar and raffle will be available. It is £5 a ticket and this will include all games! Visit to the Eden Project – Thursday 23 May. Join FoBL members for a coach trip to the Eden project, leaving Brixham at 8.30am and estimated return time of 4.00pm. The cost of the ticket includes return coach travel and entrance fee in to the Eden Project. This is priced at £26.50 for Senior FoBL members, £30.50 for FoBL members, £29.50 for Senior Non-FoBL members & £30.50 for Adult Non-FoBL members. Please note we have a change of date for our AGM which is now being held a week earlier than previously planned on Tuesday 16 July 2019 starting at 6.15pm. This is an opportunity for you have your say on FoBL matters and we are now planning a Gin tasting to follow the AGM. To avoid disappointment for any of the above events early booking is advised either by visiting the library or phoning 01803 853870. Last Saturday, Brixham folks focussed on the activities in St Mary’s Church, Higher Brixham. This was the launch of an exhibition illustrating the activities and work on the two-year Lottery funded project organised by The Friends of Brixham Library. As the project approaches its end; the history of the church; its burial grounds and the inhabitants from the past are all celebrated and commemorated. The present church dates back to 14th-15th century being a fine building of red sand stone. 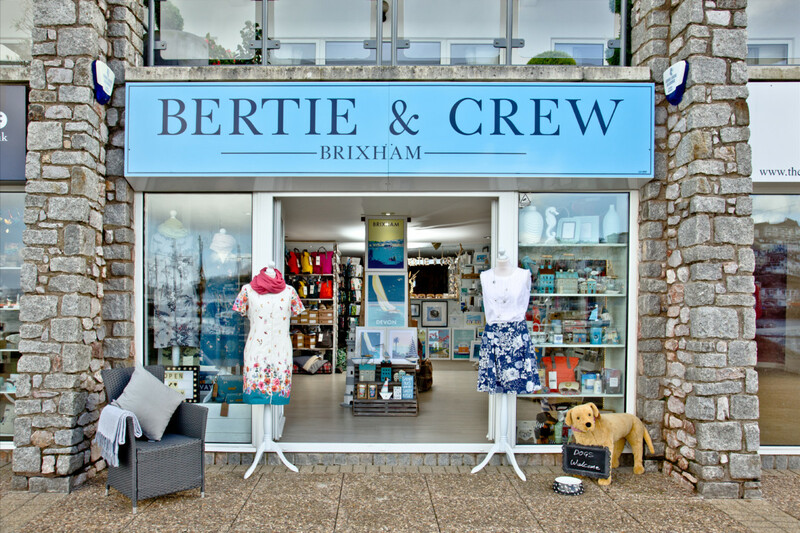 With photographs, maps and much data collection, this is far more than just listings of names and dates but brings the histories of individuals both prominent and lowly to life, as well as presenting reconstructions of everyday life in Higher Brixham and beyond. 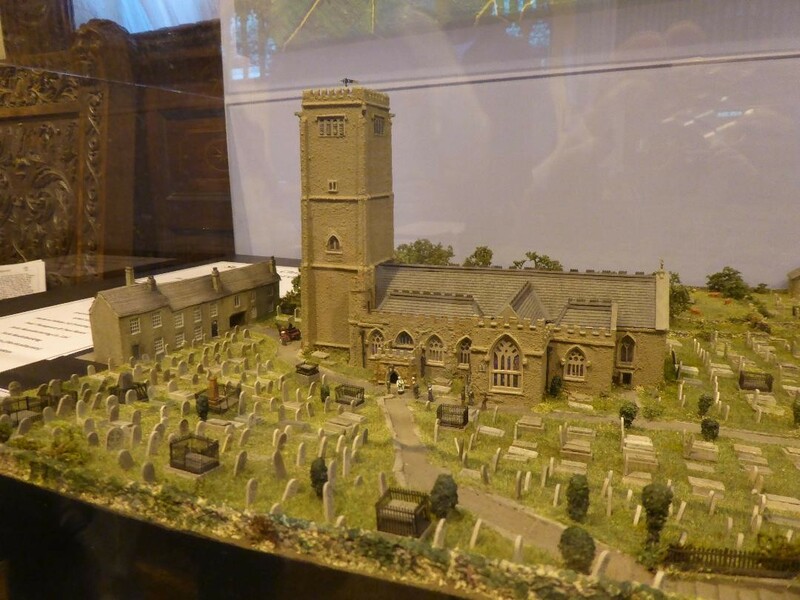 The centrepiece of the exhibition is that of a model of the Church as it was in 1862 undertaken by local model maker Paul Bennett. 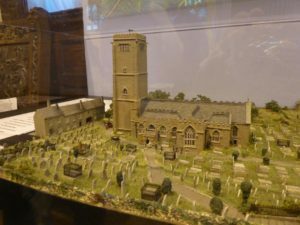 This very talented and skilled modeller has made this model to exacting scale standards of the church; the former cottages which formed the entrance, now in ruins and the graveyard with its many individual headstones and burial monuments as they would have looked all those years ago. The exhibition is on view on Saturdays between 10.00am and 12.30pm and on Wednesdays between 11.30 -12.30 until the week before Easter in St Mary’s Church. For more information please check the Friends of Brixham Library Facebook page. 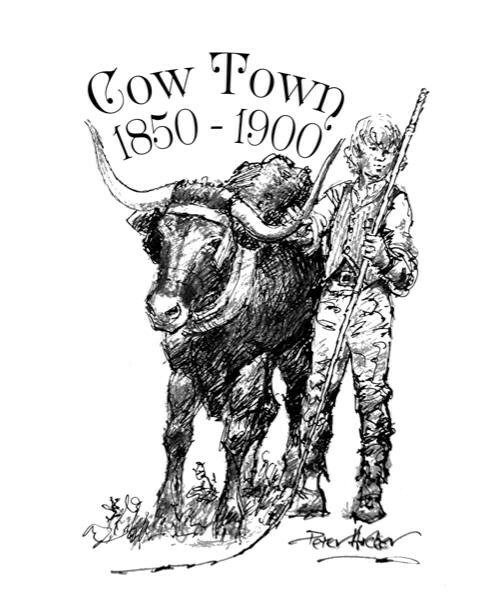 The above work has involved 100 volunteers over the two-year period to bring together what will become a digital archive of the history of Higher Brixham. This could not have happened without the management, guidance and hard work of the project leader and organiser, Phil Trayhorn. He has tirelessly guided and steered the group, meeting with his fellow helpers every Wednesday and Saturday morning as the recording of data from the graveyard has taken place. The town indeed owes its grateful thanks for the work of all those involved. Marian Parker, who many of you will know from her years working in Brixham Library, is looking for some help in keeping our planters in the front of the library watered and kept tidy. Ideally, she would like to set up a rota so that the work isn’t onerous for those involved. Anyone who is interested in helping to keep them looking fresh and looking at their best can do so by contacting Marian direct by mail to parkermarian@hotmail.com. Alternatively, please leave a note with your name, address and telephone in the library marked for Marian’s attention. Reading stories to your child can help improve their imagination, communication and is a great way to settle down for bed. 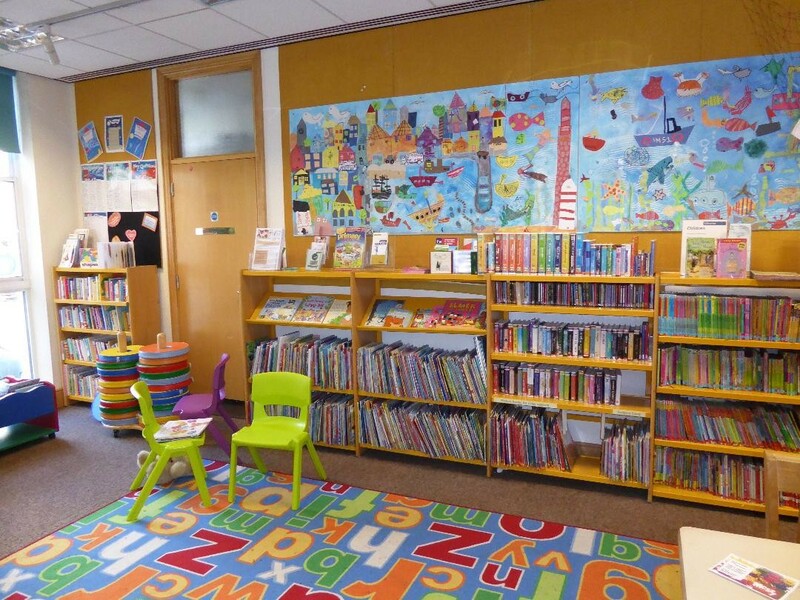 We are very fortunate in having such a lovely Children’s Library here in Brixham and access is totally free. So whatever age you are, let’s encourage all our children to make use of and get the best out of this wonderful resource. Whether you be a parent, grandparent, aunt or uncle or even a neighbour of friend, the excitement of being introduced to the world of books and reading is one that will live with you for ever. 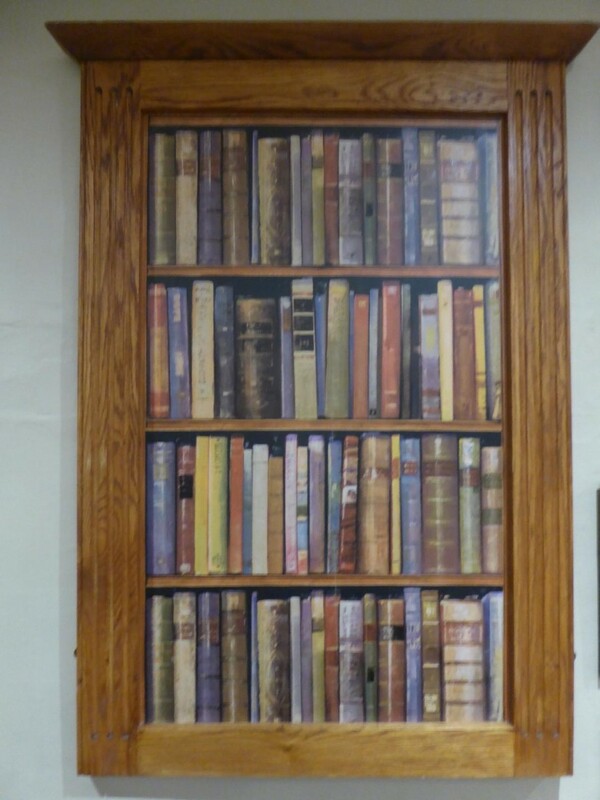 Like many facets of life, children’s books can be bewildering and that’s where the skills and imagination of the library staff can help, so that you too can get the best out of our ‘treasure chest in the town’. You can be sure that Emma, Sarah, Sue & Helen will all be pleased to help you find your way around and let you know of any forthcoming events that may be of interest to your child. From May, Brixham Library we will be having Steve Shaw and his lovely dog Honey (registered PAT dog) on Tuesday afternoons to help less confident readers. Apologies from the Editor as in the March edition of the newsletter we didn’t make it clear that when our retail partners offer discounts these are instead of the normal percentage discount offered to FoBL members and NOT an additional discount. All offers made to FoBL members are at the retailers discretion and we really appreciate their support to FoBL when these offers are made. 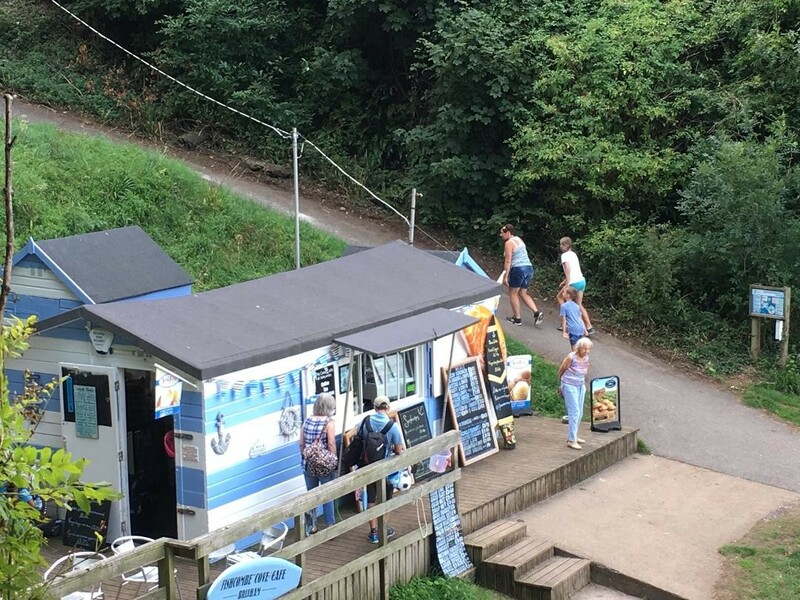 Fishcombe Café – Chloe, owner of the Fishcombe Café on Fishcombe Cove tells me that the Cafe is now open Thursday, Friday, Saturday & Sunday 10.00am – 4.00pm, weather depending until May (from May – only CLOSED on Mondays). Chloe is offering currant FoBL members a 10% discount on all orders over £5.00. She has introduced a slightly newer menu (including home-made soups, cream teas and weekly specials). She also has an event on Saturday 4 May with the Torbay Seal Project at the cafe to talk about the Grey Seals we are lucky enough to see daily in Brixham. Tickets are £5 and a donation will be made towards the charity to help protect & monitor the seals. 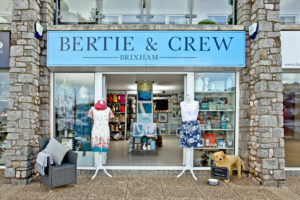 Bertie & Crew – The clothing sale continues, and Leanne tells me she has lots of new ranges in store including Becky Bettesworth mugs, coasters and fridge magnets; The Sea Shed soap, scented sachets, jewellery & cards, plus lots of new china gifts. Whilst out and about in Somerset recently I came across the picture below. 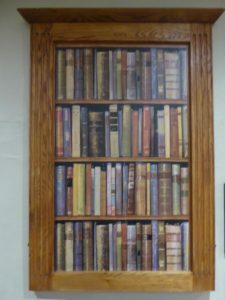 Just for the fun of it, is it a bookcase or is it just a picture. The answer will be in next month’s newsletter.